WHEN I PICTURE GREAT TEACHING I SEE . . .smiling faces, full of curosity and excitement. Pictured is our Readers Are Leaders groups. Herndon High School sports team (in this instance, varsity and junior vasity basketball players) tutoring some of our second grade students. 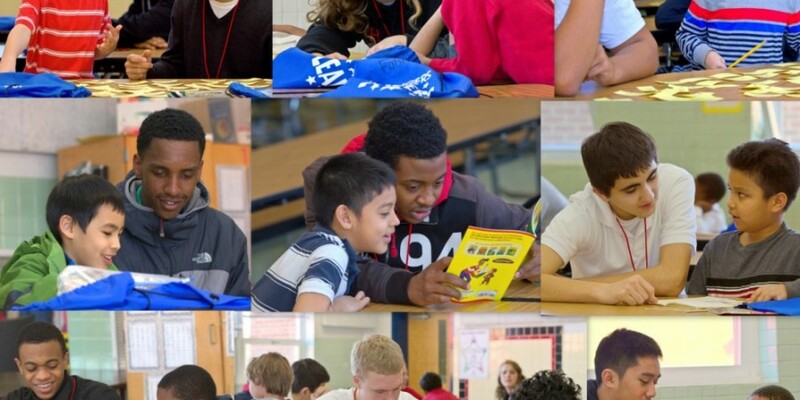 High school students “giving back” to elementary students, building relationships, being role models, with both groups learning from each other. It is a very positive setting with both groups receiving many benefits from their efforts and bringing smiles to all who see and enjoy the interaction.